O2Game wants to gift one 10 of their fans with keys of brand new Far Cry game! 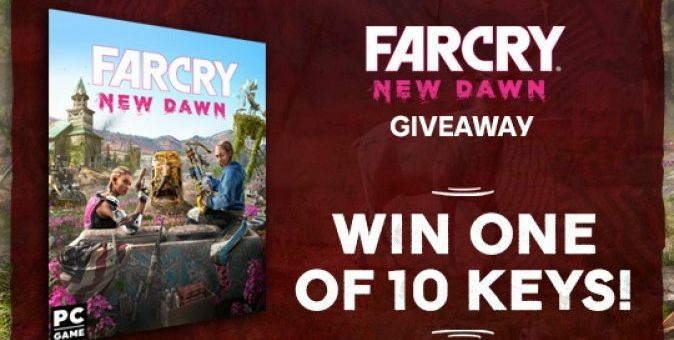 To enter in this Far Cry: New Dawn Game Giveaway grab your free entries by following few simple steps listed down below! Take up arms on your own or with a friend in two-player co-op in an unpredictable and transformed world. Recruit an eclectic cast of Guns and Fangs for Hire and form alliances to fight by your side against the Highwaymen’s unruly leaders The Twins. Bonus entries: Share your referral link with friends to get an additional 15 entries for each person who enters through the link. Not known how winners are going to be contacted, probably by email land announced in giveaway widget shortly after giveaway ends.